The factors listed below can influence the effectiveness of insulin’s action on your body. We advise you to evaluate and analyze the following situations, and consult with your diabetologist, if you have any doubt. To preserve it, insulin has to be kept in the middle shelves of a refrigerator, at temperatures between 4°C and 8°C (39.2°F and 46.4°F). Never put insulin in the freezer, or at temperatures below 2°C (35.6°F). 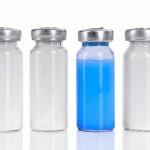 The bottle of insulin you’re using, can be kept at room temperature between 15°C and 26°C (59°F and 78.8°F), in this case, insulin can only be used up to 28 days after it’s been opened. You must throw away your insulin bottle no later than 30 days after opening, regardless of the expiration date, because after a while bacteria will grow inside the vial and insulin will begin to degrade. Write down the date in which you opened the vial to avoid any incident. We suggest that you read the manufacturer’s instructions included in the insulin packaging, and follow them carefully. Conserve and protect insulin from extreme temperatures (hot and cold), lower than 2°C (35.6°F) or above 30°C (86 ° F). Keep insulin in places where it’s not exposed to direct sunlight, and away from air conditioners, stoves, microwaves, and other sources of heat or cold. Check that the insulin you’re about to inject is the one that your doctor prescribed. If you use several types of insulin, make sure that you’re injecting the type and dose of insulin that corresponds to you at the time. For example, if you use NHP and ultrafast (when you have to use NHP, don’t inject ultrafast, or when you need to use ultrafast don’t inject NPH.). When the bottle is nearly empty, the little insulin that remains can have residues, causing an imprecise effect on your body. 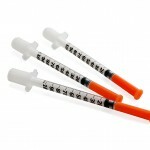 If you need to go out and take your insulin, there are special kits for refrigerated transportation. If you don’t have one, use a case with cold gel packs, or a thermos. Be sure to inject the insulin correctly into the fatty tissue of the skin of, your thighs, abdomen, buttocks and arms, checking not to do it in the surface tissue of the skin (the epidermis) or too deep (in the muscle), as this could affect it’s absorption and action. When insulin is superficially injected or into the epidermis, one of the following situations can occur: Hyperglycemia risk (due to imprecision and filtration at the injection point), burning pain, irritation or bruising, and variations in insulin action. 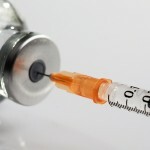 If insulin is injected too deeply and it reaches the muscle, it can cause some of the following situations: risk of Hypoglycemia, unexpected changes in glucose levels without apparent reason, or pain during injection. You must rotate your injection sites with a separation margin of at least 3cm between them, to avoid tissue hardening. If insulin is injected repeatedly into the same area, it can harden the skin and turn into Lipohypertrophy, swollen and bulging yet painless areas. If you inject in these hardened areas (Lipohypertrophy), on scars, moles, or bruises, insulin absorption and action, will be unpredictable. 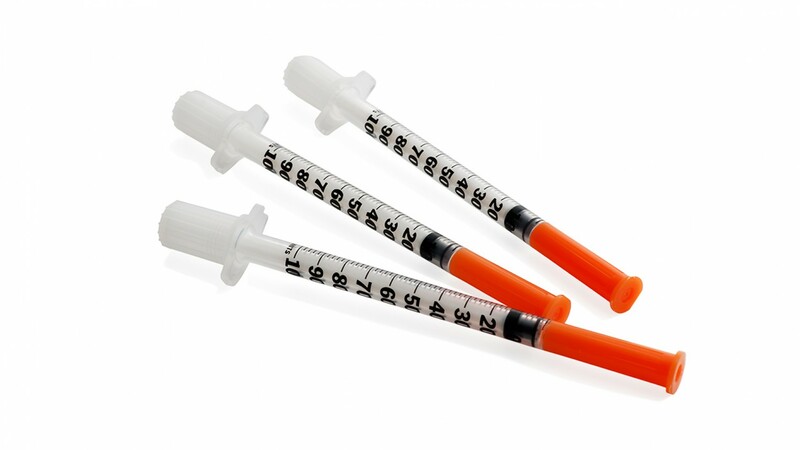 When fast-acting insulin is injected into the abdomen, it’ll be absorbed in less time. 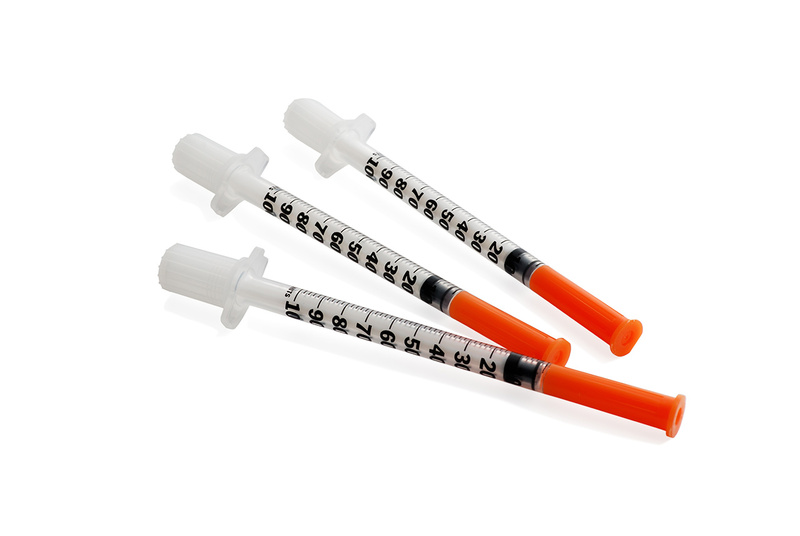 Prolonged or long-acting insulin can have a better effect if it’s injected on the buttocks or upper thighs. If you are sunbathing, taking a hot bath or a sauna, insulin will act faster. Also, insulin absorption rate and action will increase, if it’s injected in a part of the body that will be later used for exercising or any strong physical activity. If insulin is injected into the arms and you go swimming, or insulin is injected into the legs and you go jogging, both insulin absorption and action will be faster. In Diabetes Up to Date, our main goal is for you to acquire the knowledge you need, to avoid any problems that may arise, this way your quality of life will be unaffected.